February 7, 1983 - Elizabeth Hanford Dole, graduate of Duke University and Harvard Law School, became the new Secretary of Transportation. April 11, 1983 - FAA announced that the national Airspace System Plan would be revised, increasing the number ARTCCs to 23 and re-designating them as AREA CONTROL FACILITIES. May 5, 1983 - Eastern Air Lines Flight 855, a Lockheed L-1011 TriStar, en route from Miami International Airport to Nassau International Airport, Bahamas, experienced the loss of all three engines. All 10 crewmembers and 162 passengers were safe when the flight crew succeeded in restarting one engine in time to safely land the aircraft back at Miami. The No. 2 engine was shut down when the low oil pressure light illuminated and the captain decided to return to Miami. While en route the low oil pressure lights for engines Nos. 1 and 3 illuminated while at 16,000 feet. both engines flamed out while the flight crew was attempting to restart the No. 2 engine. The jet descended without power from about 13,000 feet to about 4,000 feet, at which time the No. 2 engine was restarted. They captain made a one-engine landing at Miami International Airport. There were no injuries to the occupants. The NTSB determined that the probable cause of the accident was the omission of all the O-ring seats on the master chip detector assemblies leading to the loss of lubrication and damage to the jet's 3 engines. Eastern Air Lines supervisory personnel failed to require mechanics to comply strictly with the prescribed installation procedures. Similar previous occurrences were not corrected. Contributing to the accident was the failure of the FAA maintenance inspectors to assess the significance of the incidents involving master chip detectors and to take effective surveillance and enforcement measures to prevent the recurrence of the incidents. June 2, 1983 - Covington, Kentucky - An Air Canada DC-9 crashed while on a flight from Dallas, TX to Toronto when the crew reported a lavatory fire just as the aircraft was passing over Louisville, KY. An emergency was declared and the jet was vectored to a successful emergency landing at the Cincinnati/Northern Kentucky International Airport in Covington. Prior to the landing the master warning light illuminated and the enunciator lights indicated that the emergency AC and DC electrical buses had lost power and the attitude directional indicators weren't working. The emergency power switch was activated directing battery power to the emergency AC and DC buses. Because of the loss of AC power, the stabilizer trim was inoperative. The pilots on the Indianapolis Center high altitude sector frequency broadcast: "Mayday, Mayday, Mayday." Louisville radar high sector controller acknowledged the call, and was told that the DC-9 had a fire and was going down. The flight was cleared to Cincinnati (25 miles away) and descended from FL330 to 5,000'. On final approach, since the horizontal stabilizer was inoperative, the captain extended the flaps and completed the landing. He made maximum effort to stop using extended spoilers and full brakes. The antiskid system was inoperative and all four main wheel tires blew out.  Probable cause: A fire of undetermined origin, (probably in the aft lavatory) and underestimate of fire severity, and conflicting fire progress information provided to the captain. Additional cause was the flight crew's delayed decision to institute an emergency descent. 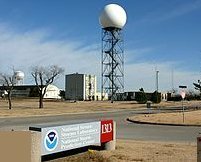 June 8-14, 1983 - FAA awarded two competitive contracts to develop the Next Generation Weather Radar (NEXRAD). 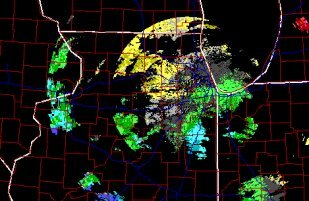 NEXRAD would have the ability to "See" inside storms and measure the velocity and direction of wind-driven precipitation and other particles suspended in the air. 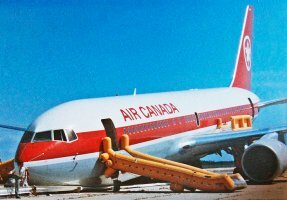 July 23, 1983 - Air Canada Flight 143, Boeing-767, ran out of fuel above Manitoba because of a miscalculation. The crew successfully glides the aircraft to a safe landing at a former air force base (now a drag strip) at Gimli, Manitoba . The Captain averted the disaster by drawing on his background as a glider pilot and safely landed the jet. Causes: 1. A maintenance crew discovered a shoddy soldering job had knocked out the computer that calculates how much fuel was needed. 2. Rather than canceling the flight, the ground crew manually calculated how much fuel would be needed. 3. A warning signal at 41,000 feet, and the crew discovered a critical error in using imperial measurements rather than metric ones and the jet was rapidly running out of fuel. One engine went out and because the electrical system was run off the engines, it was knocked out. Without power, the pilots were forced to manual controls as the jet descended at 2,000 feet per minute. 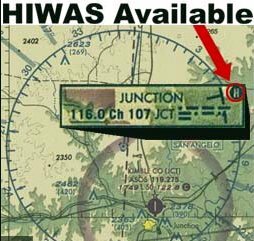 HIWAS is designed to provide continuous broadcast of information on dangerous weather. The equipment will provide coverage at or above 4,000 feet. of the Federal Aviation Act. August 31, 1983 - An American Airlines DC-9 Super 80 became the first scheduled jet airliner to arrive after 10:00 p.m. at Washington National Airport since the imposition of night time noise limits. The Super 80 landed without violating the limit of 85 decibels. 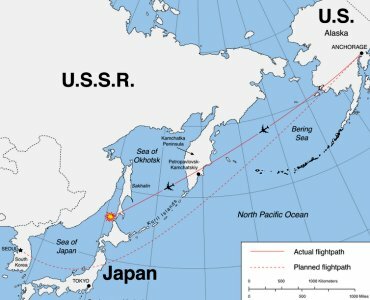 September 1, 1983 - Korean Air Lines Flight 007, B-747, from New York City to Seoul via Anchorage, Alaska was shot down by a Soviet Su-15 interceptor near Moneron Island west of Sakhain in the Sea of Japan. The jet began to veer far off its normal course, and into Russian airspace over the Kamchatka Penninsula where some top-secret Soviet military installations were known to be located. The Soviets sent two fighters to intercept the plane and tried to make contact. Failing to receive a response, one of the fighters fired a heat-seeking K-8 missile and KAL 007 was hit and fell into the sea of Japan. All 269 people on board were killed including Larry McDonald, a Representative from Georgia in the U.S. House of Representatives. 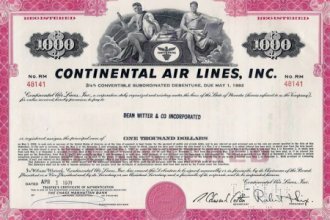 September 24, 1983 - Continental Airlines filed for bankruptcy protection under Chapter 11 and suspended all flights. Chairman of the airline and its parent company, Texas, Frank Lorenzo announced that a "new Continental" was resuming operations, on a discount-fare basis to about a third of the cities formerly served. He offered to rehire 4,200 of 12,000 employees at salaries below those paid under their union contracts. Continental's pilots and flight attendants began a strike on October 1, but failed to shut down the airline. By the end of 1983, the company employed 700 pilots and 800 flight attendants. October 11, 1983 - An Air Illinois commuter flight, Hawker-Siddley 748, crashed near Pinckneyville, Illinois. The NTSB reported that the accident was caused by the pilot's decision to continue the flight after loss of electrical power from both generators. Additionally, a thunderstorm was also in the area. Air Illinois, based in Carbondale, IL became a commuter airline during aviation deregulation in the late 1970s. Following the crash, the FAA made changes designed to improve in its inspection procedures and inspector training. On Dec 2, 1983 the FAA grounded Air Illinois's two largest aircraft, and the next day Air Illinois voluntarily ceased operations. December 20, 1983 - Ozark Air Lines Flight 650, McDonnell Douglas DC-9 from Sioux City, Iowa to Sioux Falls, South Dakota, while landing in a snow storm, struck a snow plow on the runway. The impact ripped the right wing from the plane, destroying the snow plow and killing its driver. No passengers were injured, but two flight attendants suffered minor injuries. December 23, 1983 - J. Lynn Helms resigned as FAA Administrator to return to the private sector. Deputy Administrator Michael J. Fenello became Acting Administrator .